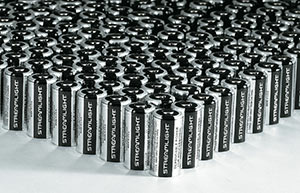 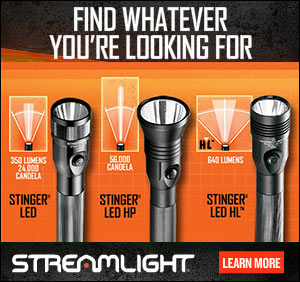 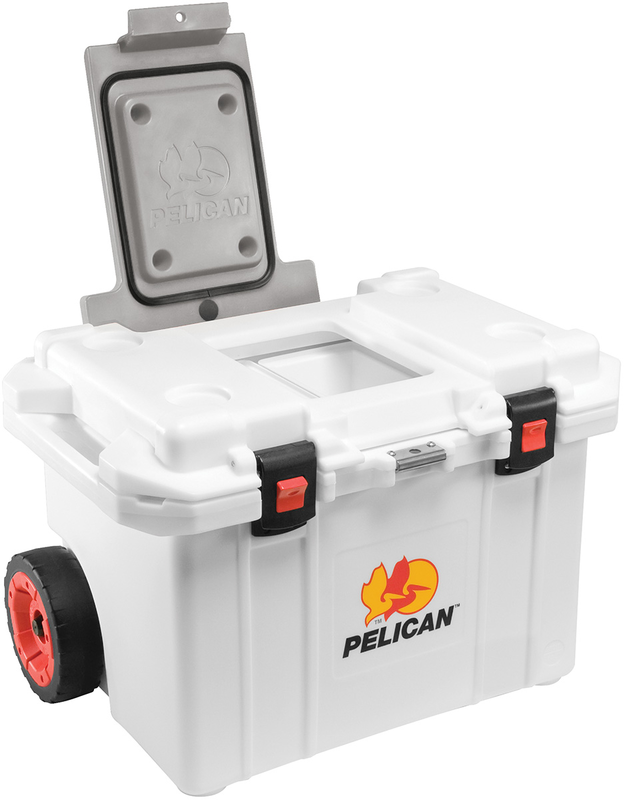 Quench your thirst without losing your cool. 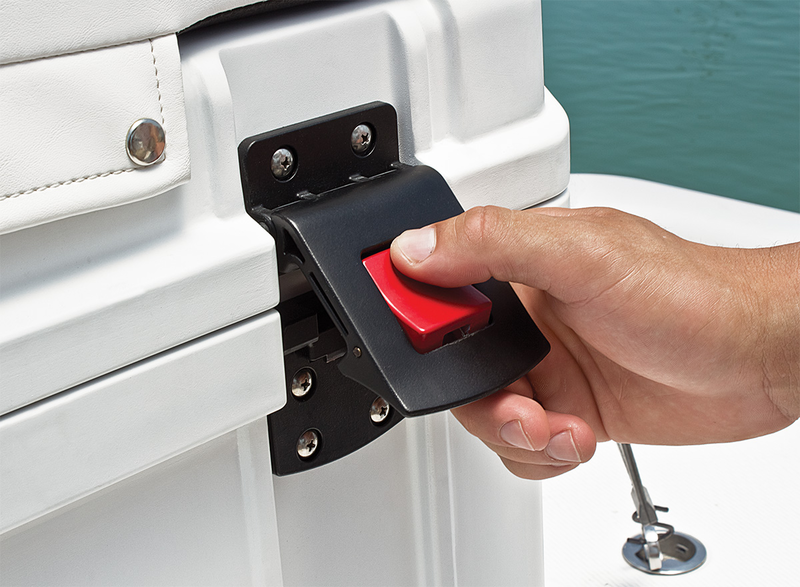 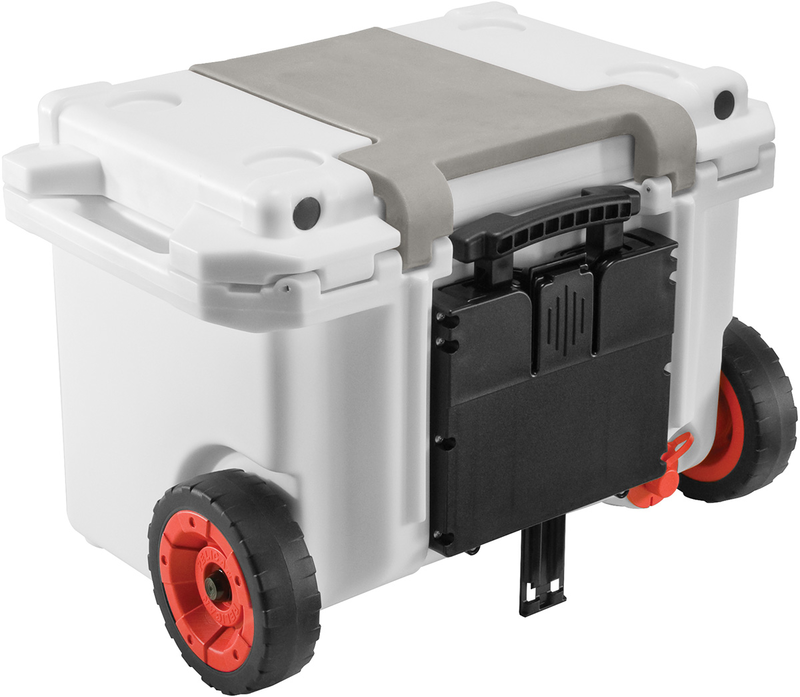 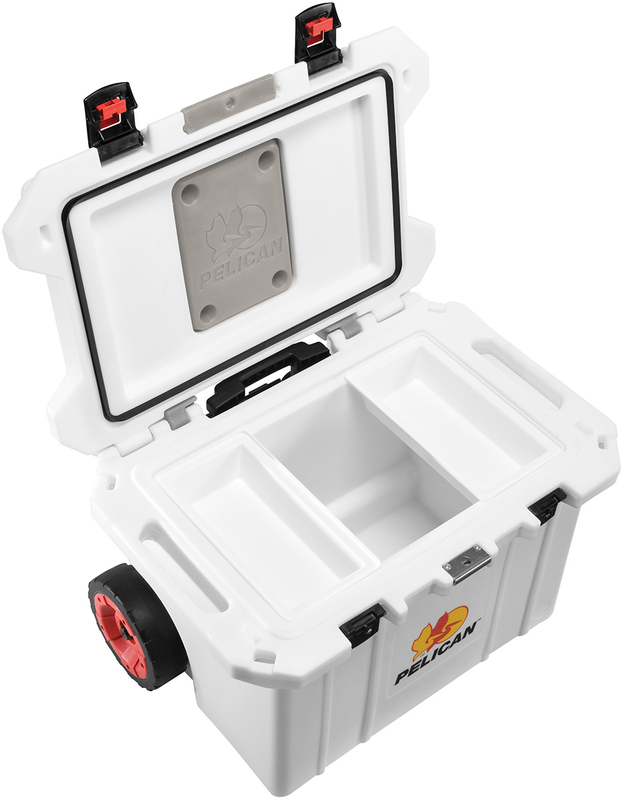 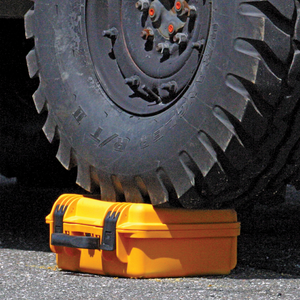 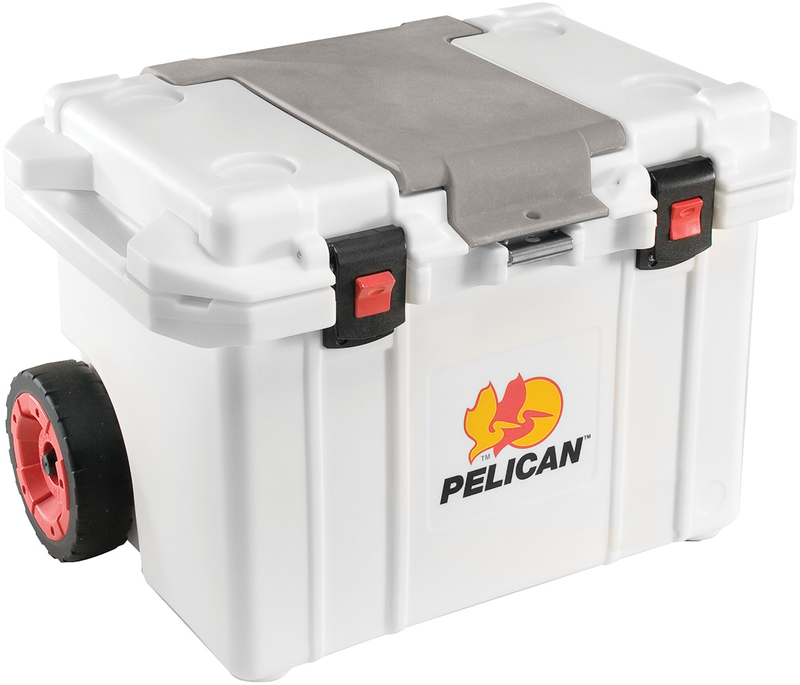 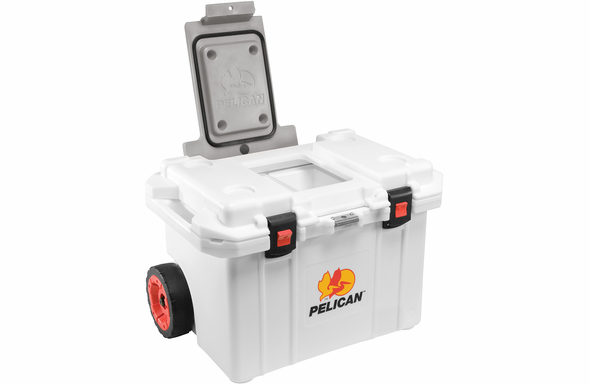 The Pelican™ 55QT Tailgater Wheeled Cooler offers a dual-action lid for quick and easy access that allows maximum ice retention. 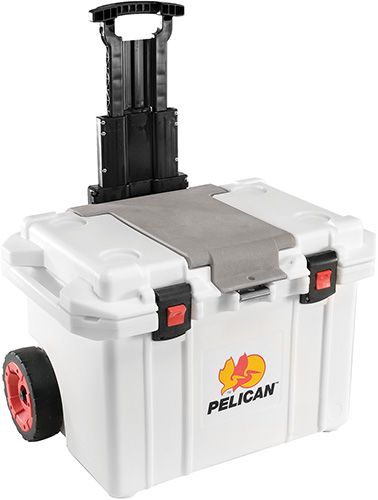 Heavy duty wheels and a robust telescoping handle make for easy transport.